While on holiday in Colorado I visited a post office from the American Old West. To my surprise it revealed curious secrets, including tales of religious zealots, French penitent orders, rogue lawmen and even a candidate for the historical Zorro. As I delved further I realised the story sounded familiar. 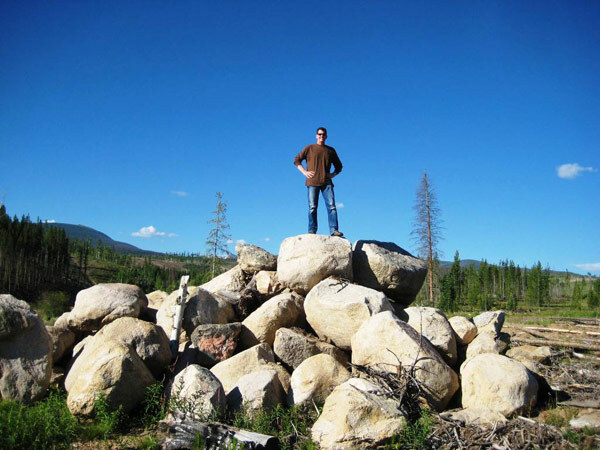 Had I discovered the Rennes-le-Château of the Rocky Mountains? Perhaps, but what I did uncover was the story of William and Mary, two heroic figures who sought gold in the Colorado Rockies and instead found love, law and order, and a peculiar form of salvation. Darkness fell and a black sun hovered in the midday sky like an ancient curse. The Ute were transfixed by the spectacle and who could blame them? The Colorado tribe were superstitious, having endured countless misfortunes, such as the tragic battle on the shores of Grand Lake, when their enemy had attacked without warning. The Ute placed their women and children on a raft and directed it into the middle of the lake for safety. As fighting commenced, a malevolent wind overturned the raft, killing all on board. The Ute had been devastated, not by their rivals, the Arapaho, but by their gods. 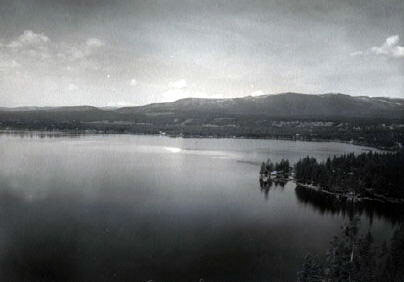 The Utes’ misfortune created a mystique about Grand Lake and to this day many believe it to be haunted. The aviator, Charles Lindbergh, paid homage to the Ute by flying curiosity-seekers over the lake in his plane. Then, as now, ghostly figures are said to amble through the morning mist and despondent voices have been heard moaning through the ice-capped lake in winter. The Ute had been unlucky, but surely their fortune was about to change? On the afternoon of the 29th of July 1878 a total eclipse of the sun descended on Colorado, prompting the Ute to reflect on their fate yet again. 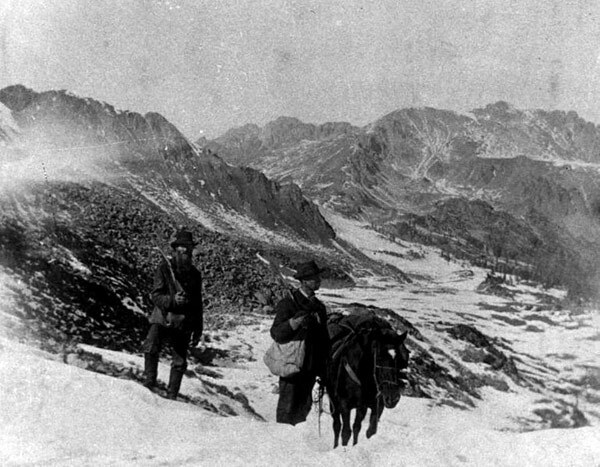 It had been twenty years since the gold rush at Pikes Peak had lured the white man to the region, yet it was not gold that bound them together, but their wanton disregard for the land’s indigenous people. The settlers had encroached on the Indians’ land and depleted their game reserves to such an extent that many tribes had become reliant on the government for food. 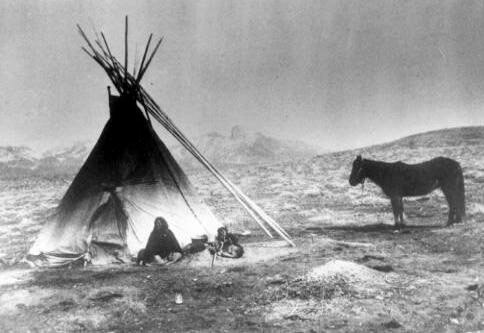 The Indians were no longer encouraged, or even allowed, to maintain a tradition that had defined their relationship with the land for hundreds of years. The Ute were frustrated and interpreted the eclipse as an omen. They decided to retaliate against the white man, and Chieftains Piah and Washington quickly developed a plan. They decided to dispatch forty of their bravest warriors to the ranch of William Z Cozens, the toughest lawman in the land. The Indians taunted William and his wife, Mary, for over a day. Under normal circumstances, forty warriors versus one middle-aged lawman would not be much of a match, but at 6’2” (1.88m) William was over a foot taller than the average man and his presence was foreboding. Although he was an expert marksman, his greatest asset was his courage, for he was absolutely fearless. To the Utes’ amazement William shot, shouted and bullied his way out of the ambush unscathed. The Ute warriors were demoralised, yet more determined than ever to seek revenge. Having been humiliated by Cozens, the Ute retreated down the valley and terrorised a rancher, freeing his cattle. The rancher called upon Cozens, who assembled a posse, and in a confrontation at the Ute camp a couple of days later a Chieftain by the name of Tabernash was shot and killed. Despondent, an elder Ute Chieftain, a man of stubborn character named Colorow, directed the Utes’ next course of action; he instigated a brush fire aimed at driving the deer, elk and buffalo back onto the Ute reservation. It would seem that the gods had forsaken the Ute once more, for an unexpected shift in the wind redirected the fire and the wild game, including the last of the buffalo, away from the Utes’ camp for good. The result was devastating. What made it even worse was that the fire had rendered the Utes’ valley a wasteland. Their spirit had been broken, not by their gods, but by the toughest and most just man in the Wild West. We pick up the story several decades earlier, before the fateful eclipse and before the gold rush that would transform a peaceful land into a heathen’s paradise. In 1874 the region was incorporated as Grand County, deriving its name from Grand River and Grand Lake, the state’s largest natural body of water. 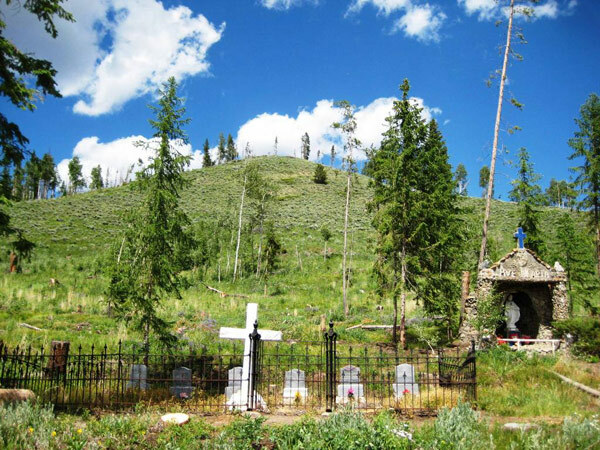 Grand County has long been visited by religious zealots and the iconic Mountain of the Holy Cross, which adjoins its borders, drew the pious faithful in droves. 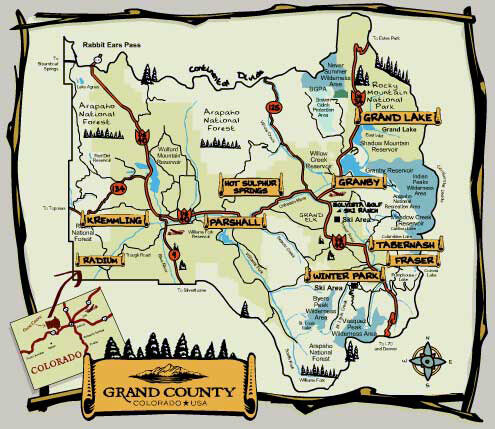 Grand County did not have a single religious institution until 1890. Two per cent of the population were Roman Catholic, 10% claimed an association with other religions and 70% had no religious affiliation whatsoever. Places of worship did not have a home in the Wild West and this meant that the true religion of Grand County was not God, but gold. Mary York was born of Irish parents on St Patrick’s Day, 1830, near Windsor, England. Before long her family returned to Ireland and, when Mary was 12 years old, departed the Emerald Isle for the United States of America. Pestilence and disease were common on trans-Atlantic voyages and Mary’s father died on the journey. Sadly, her mother passed away three months later. Alone and not yet in her teens, Mary fended for herself as best she could. 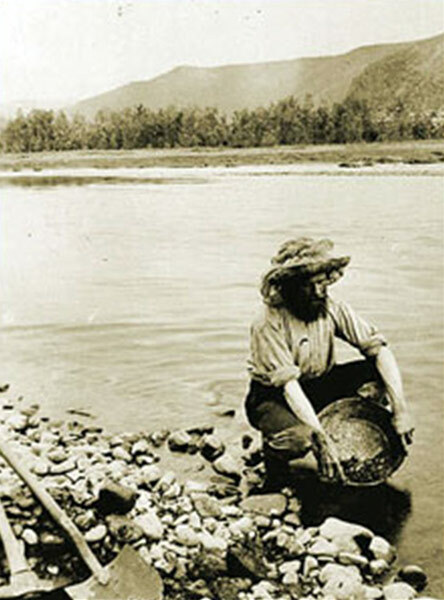 Over the next eighteen years Mary lived in New York and Baltimore, where she worked for a couple named McGee, who were keen to move to Colorado in the hope of striking it rich in the gold rush. In 1859, at the age of 29, Mary abandoned the comforts of the city and set off with her employer, hoping to discover gold in the Colorado mines. The Pikes Peak gold rush had just begun and soon over 100,000 miners would arrive, inspired by an earlier gold rush in California. Mary soon realised that Mr McGee intended to sell her into prostitution in the gold mining camps as soon as they reached Colorado. Her behaviour would suggest that he had already seduced her, for on the 4th of March 1860, while on her journey west, Mary stood above the gorge of a fast-rushing river and contemplated suicide. This time fate would be kinder and Mary was rescued by John H Gregory, a businessman, who had discovered lucrative deposits of gold at a town named after his success, Gregory Gulch. 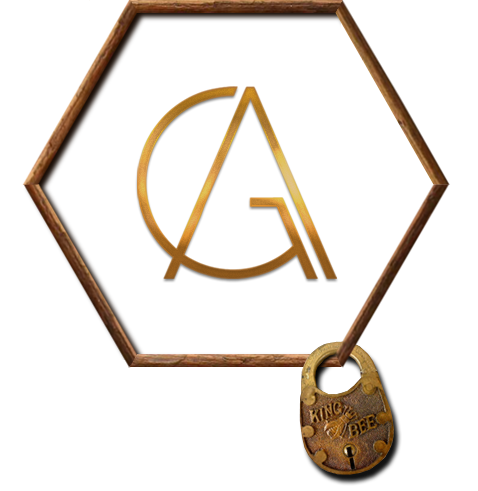 Gregory escorted Mary to safety and she soon ended up in Central City, near Gregory Gluch, in the heart of a gold rush that her rescuer had created. 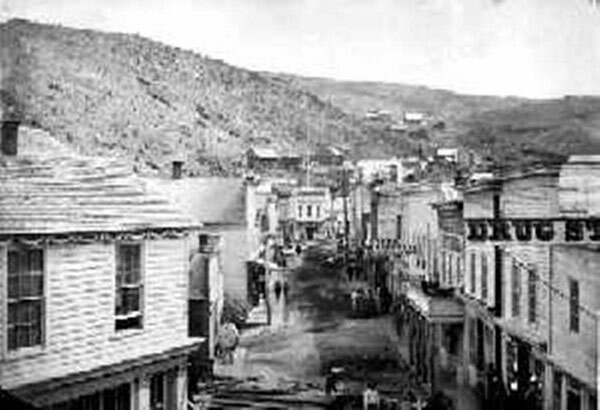 Central City was a rambunctious place and had a reputation as the ‘Richest Square Mile on Earth’; and why not – it was full of gold. At the time of Mary’s arrival the population had risen sharply to 598 and every man, woman and child had to fend for themselves. Mary would have been a beacon of modesty amongst ruffians and, as the first white woman to settle in the city, it is likely that she would have had something to do with the church of St Mary’s receiving a life-sized statue of St Patrick, the saint on whose feast day she was born. The monument was dedicated by Irish miners and, against the wishes of the pastor, St Mary’s became known as ‘St Patrick’s Cathedral’. With Gregory’s help Mary supported herself by doing what many Irish woman of devout Catholic tradition knew well: she opened a laundry in March 1860, in the centre of the city. Laundresses were the backbone of the so-called Magdalene asylums, peculiar shelters where ‘fallen women’ could perform penitence for their ‘sins’. The institutions had originated in Ireland around a hundred years earlier and were inspired by the legend of Mary Magdalene, who had been deemed a prostitute, yet remained a beloved disciple of Jesus. Ironically, the asylums were horrible places, more akin to prisons than places of refuge. Magdalene asylums spread across the globe and the last closed in Ireland, where they had originated, in 1996. The institutions were often a place where sexual violations occurred and where young ladies were sentenced to long hours of hard labour, merely for looking attractive or simply being the object of a young man’s affection. While there is no proof that Mary served in a Magdalene asylum, the hardship she suffered in New York, coupled with her choice of vocation in Central City, as well as her staunch devotion to the Catholic Church, especially the Magdalene, at least suggest the possibility. 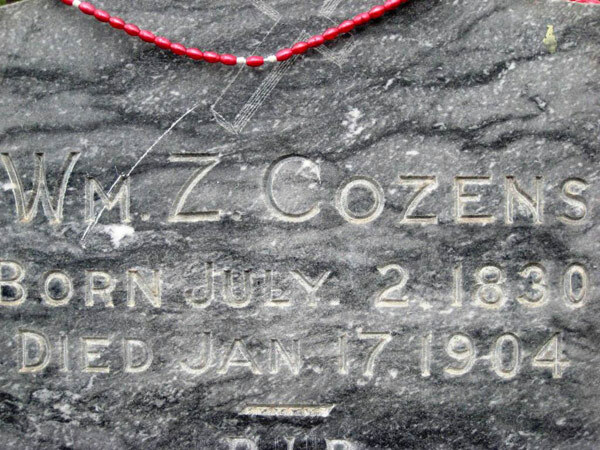 William Zane Cozens was born in Canada on the 2nd of July 1830, the same year as Mary York. Records cite his home town as ‘Longueuil’, Canada, yet other accounts record it as ‘Sanguerl’. The curious corruption of the name recalls the word, sangréal, which is an alternative name for ‘Holy Grail’ from the Old French sang réal, meaning ‘royal blood’. Serendipitously, Cozens was born on the feast day of St Bernardino Realino, an Italian noble, who after experiencing an apparition of Our Lady, joined the Society of Jesus in 1567 and became a prominent member of the Jesuits, a large and influential religious order within the Catholic Church, which was dedicated to the salvation of the soul through penitence. Ironically, both Our Lady (the Virgin Mary) and the Jesuits would play a prominent role in William’s life, despite the fact that he, a staunch Freemason, would never convert to any organised religion, let alone Catholicism. Cozens was a carpenter, who had worked in New York and St Louis before departing for Denver on 2 March 1859. The mountainous journey was arduous, even for a strong man such as Cozens. 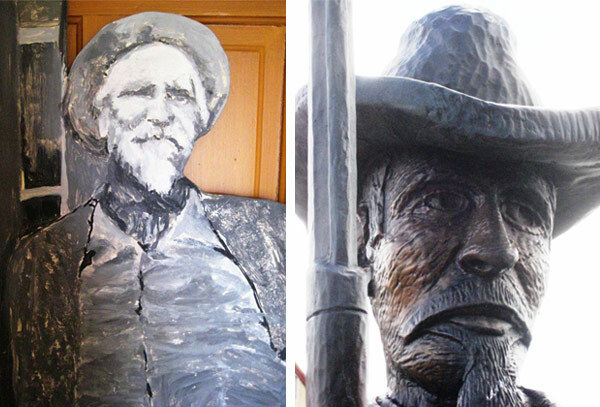 Like most, Cozens gravitated to Central City, which was synonymous with Gregory Gulch. 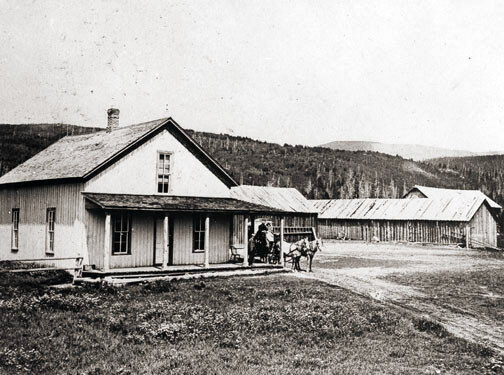 Once in Central City, Cozens tended bar for a proprietor named Jack Kehler, who took him under his wing and, in an unauthorised election for Sheriff, appointed Cozens his deputy. William’s first taste of law enforcement foreshadowed his fate and his Masonic affiliations would have no doubt ensured his acceptance, and survival, in what had fast become the roughest town in the Wild West. Cozens’ standing as Deputy ensured that his presence was even more formidable than before and Mary York, who had arrived in Central City shortly before him, soon took notice. Their romance blossomed and on the 30th of December 1860 William and Mary were married in a ceremony held in St Mary’s Cathedral (the present-day Cathedral of the Immaculate Conception). Machebeuf’s pioneering work paved the way for Thomas A Smith, who in 1863 became the first resident pastor, and Father Raverdy, who succeeded him in 1866. Central City’s third pastor, Honoratus Burion, built the present cathedral, complete with 150-foot spires, and in 1872 Bishop Machebeuf laid the cornerstone. William and Mary’s wedding was witnessed by a senior Freemason, the Worshipful Master William J Howlett, who managed the county parish from 1879 to 1886. Curiously, the wedding took place on the 240th anniversary of the death of St John Francis Regis, a French priest from the Aude district of the Languedoc in the South of France; a region known for Cathars, Visigoths and the mystery of Rennes-le-Château. At the age of 19 Regis entered the Jesuit novitiate at Toulouse, where he developed his life-long ambition of saving souls. In 1630, at the age of 31, he was ordained and later established the Confraternities of the Blessed Sacrament, which organised charitable collections of money and food from the wealthy. Interestingly, Regis was devoted to the conversion of North American Indians, despite never having left France, and was recognised as a saint by the Roman Catholic Church. Over two hundred years later, in 1877, Regis University was established in Las Vegas, Nevada, by a group of exiled Italian Jesuits who were inspired by his teachings. The university was later moved to Denver, where it resides today. A few months after William and Mary’s wedding, a man named Jessie Pritchard won the authorised election of Sheriff and William was once again appointed Deputy. 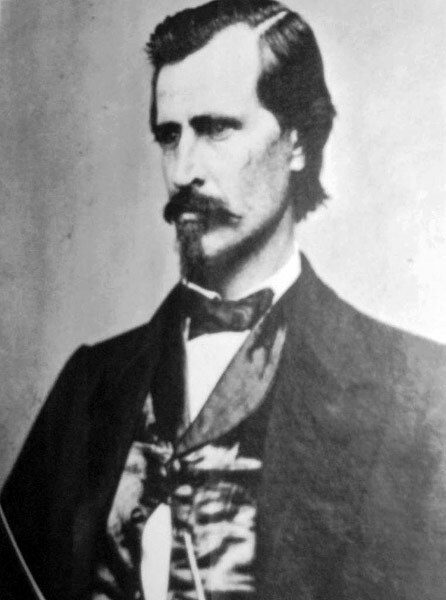 Pritchard was soon forced to vacate his position in order to honour his duties as a Major in the Second Colorado Volunteers. The 30-year-old Cozens finally became Sheriff, the Colorado Territory had just been established, Mary was pregnant with their child and all was right with the world. 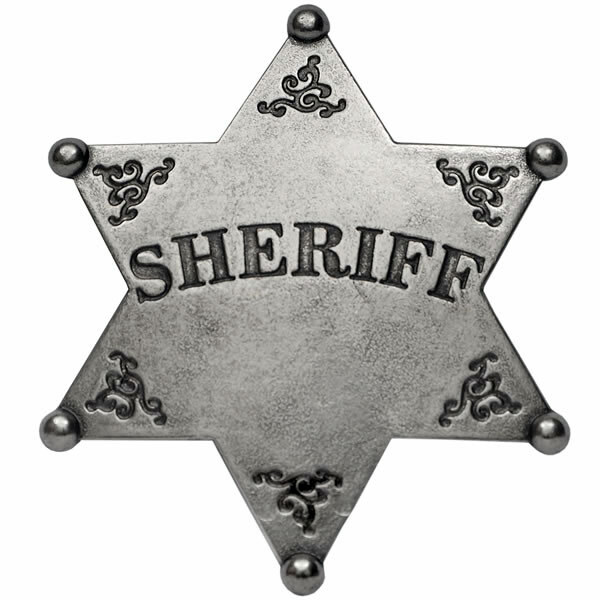 William’s responsibilities as Sheriff suited him down to the ground. They also echoed the esoteric tradition that was emerging in is life, for the title of Sheriff recalled the Old English term, scīrgerefa, meaning a royal official responsible, on behalf of the king, for keeping the peace throughout a shire. However, it was quite literally the badge of William’s position that underscored the esoteric nature of his vocation. The Star of David, or hexagram with equilateral triangles, was known as the Seal of Solomon, symbolising unity, which William, a dedicated Mason, would have understood. On the 5th of May 1862 Mary gave birth to Billy, her only son. The couple were delighted, but William’s demanding career commitments had created strife within the marriage. In one pivotal incident Mary was confined to bed, recuperating from childbirth, while William pursued two suspicious-looking figures, who had been trespassing around the ranch. Cozens was a marksman and aimed a pistol at their backs from a considerable distance, demanding their surrender. It transpired that his hunch was correct, for the men were horse thieves and readily confessed. In those days culprits such as these were routinely shot dead on the spot or hanged from the nearest tree. Cozens, though, believed in justice and a fair trial for all. 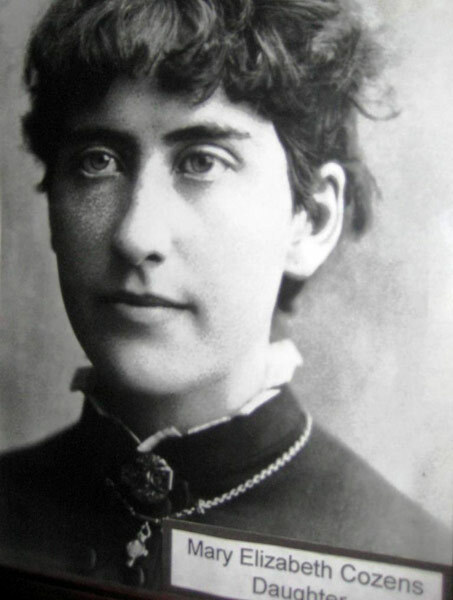 As there was no jail in the region to contain the men, Cozens, after weighing his options, handcuffed them to the legs of Mary’s bed and threatened to kill them if they disturbed her during the night. Needless to say, Mary was not impressed and Cozens was quoted as saying, “I saw that we must have a jail” and promptly built one. There was no end to Cozens’ war on crime and in 1894 two more incidents added to his legacy. In January he saved a man named Van Horn from a lynch mob, only to preside over his execution a few weeks later – the first legal execution in the territory. Cozens’ insistence on justice reflected his Masonic patronage, which instilled the values of ‘regular, orderly society’ into his ethos. The enforcement of law had just received a new twist – it would for evermore be accompanied by ‘order’ as well. The second incident occurred in November. Cozens was serving a protracted jury service while Mary was late into her second pregnancy. The jury was hung, 11 votes to 1, and the ‘skunk’, or abstainer, would not give in. The eldest juror approached Cozens and asked, “Uncle Bill, what should we do with that skunk who is hanging the jury?” Cozens retorted, “Raise the window, then throw the little skunk-of-a-seacock down on the sidewalk”. The rest of the jurors concurred and quickly opened the window and led him to the brink of his death, when he shouted, “Let’s have another ballot!” Predictably, the re-vote ended 12-0 and Cozens was free to return home to meet his daughter, Mary Elizabeth, who had been born a few days earlier. Shortly after Mary Elizabeth’s birth, William joined the Colorado Volunteers and led ‘Company C’ on the Lillian plains in the north of the State. In 1865 his brother, Nelson, moved to Central City. On 1 September 1866 William sent a cheque for $758.09 to his younger brother, Charles, in support of his family farm in New York State. Clearly, the Sheriff was loyal to his commitments. 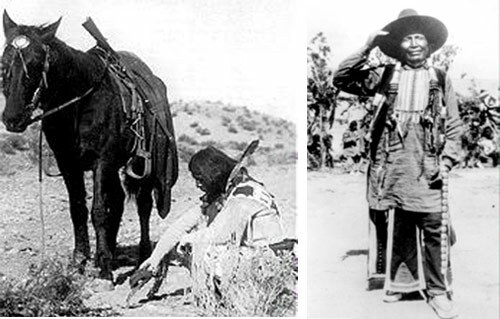 Then, for reasons unknown, he abstained from drinking whisky on 10 September and in the ensuing days gave chase to fugitives, pursuing them as far as Taos, New Mexico, before giving up the hunt. Mary must have been used to her husband’s obsession for law and order, for once again he returned to find Mary giving birth, this time to their third child, Sarah, who was born on the 22nd of November. 1868 was an eventful year. 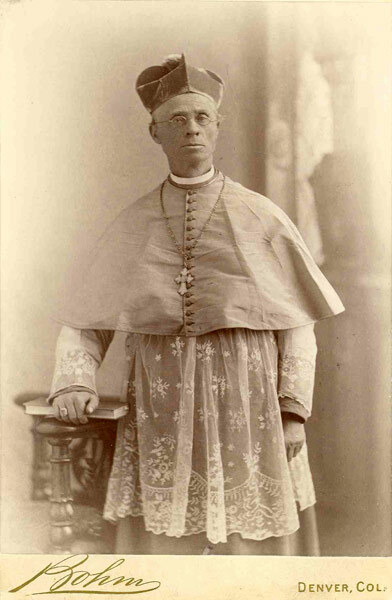 On 3 March Father Machebeuf, who had married William and Mary six years previously, was appointed Vicar Apostolic of Colorado and Utah, as well as Titular Bishop of Epiphania in Cilicia, by Pope Pius IX. Most of the Cozens brothers moved to Central City and Mary’s cousin, John York, had moved to Golden City in nearby Jefferson County. By 1879 York and his wife would amass 9 children. Whether it was the influx of relatives or the struggle of raising a young family in the Wild West we cannot be sure, but William and Mary sold their house and jail and moved back east. It had been an amazing, but turbulent, eight years and life in the aftermath of the Colorado gold rush had taken its toll. Despite the comforts of a civilised life, William and Mary must have missed their life in the Wild West and on the 1st of April 1879 they returned to Colorado. 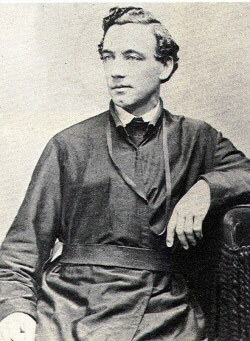 William took a job with the Central City police force and Billy attended boarding school at Saint Mary’s in Kansas, while the two girls, Mary and Sarah, attended the parish of the Sisters of Charity, Leavenworth, a religious order whose charter consisted of enlisting good young women for the service of the poor. 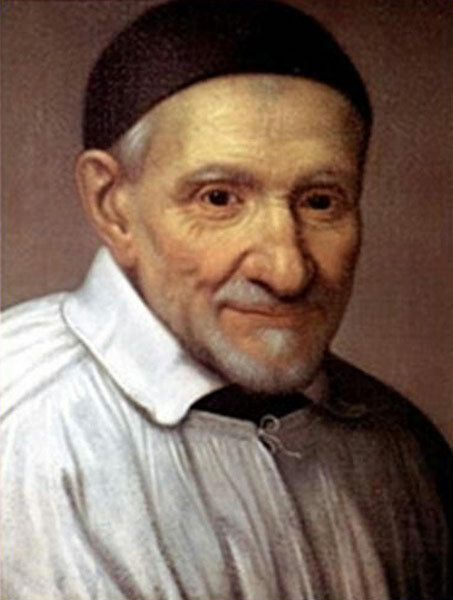 Not surprisingly, their teachings were founded on the remarkable French priest, St Vincent de Paul (24 April 1581 – 27 September 1660), who studied in the Languedoc in Southern France, as had Regis. St Vincent’s work with the poor is legendary. Chicago’s De Paul University is named after him and his heart remains in a reliquary in the chapel of the Motherhouse of the Sisters of Charity in Paris. 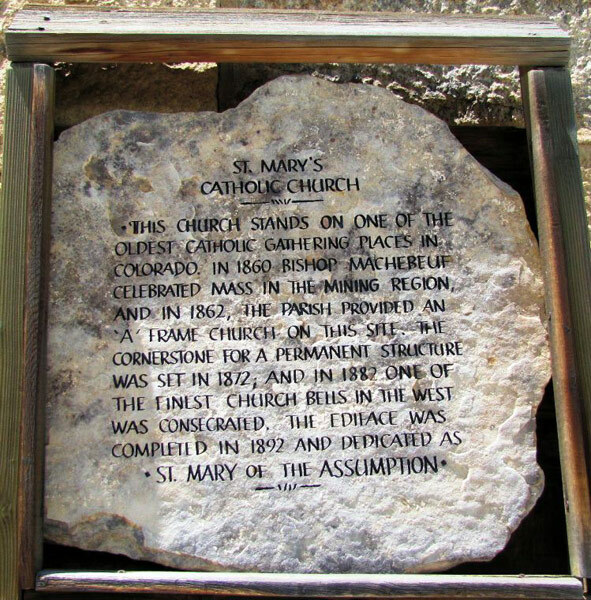 The Sisters of Charity were sponsored by the influential Bishop Machebeuf and Father Honoratus Burion, the future pastor of Central City’s St Mary’s Cathedral. A couple of years later, on the 22nd of January 1871, Billy sent his father a curious letter stating that he had “received the specimens you sent me from Brother Murphy”. Just what he meant by this is unclear. The following year, on 8 December, Billy was received into the Sodality of the Blessed Virgin, a Roman Catholic Marian society founded in 1583 within the Society of Jesus, whose members included popes and bishops, as well as the writer, James Joyce, and the painter, Peter Paul Rubens. The Cozens family were now engulfed in the service of various religious orders, an influence that was down to their spiritual role model and mother, Mary. 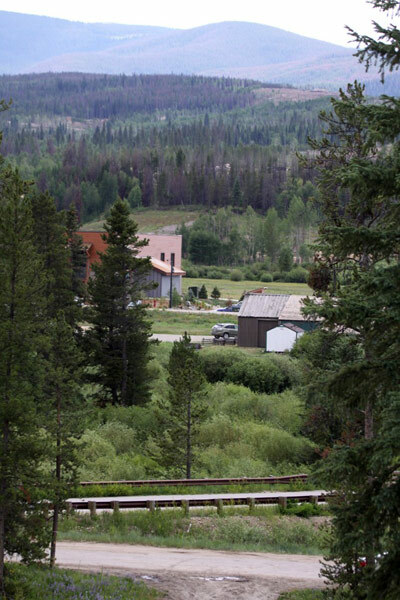 The Cozens had grown tired of life in Central City and purchased a cabin in Fraser, a peaceful community near the ski resort, Winter Park. Records indicate that William purchased squatters’ rights to a piece of land known as the ‘Hay Stacks’ for $520, in addition to a well-known piece of land on the east bank of the Fraser river. In 1874 he became Marshall and Collector of Central City, but, tragically, the city was decimated by fire on the 21st of May. The following year William and Mary moved to Fraser and by 1876 the family had finished construction of the ranch house which stands today. With his official residence established in Fraser, William became Postmaster on the 16th of August 1877. By the summer of 1878 the Ute Indians were revolting against the settlers and had, indeed, killed a settler. The total eclipse of the sun only exacerbated rising tensions and prompted the Ute to descend on Cozens’ ranch, as recounted above. On the 1st of September Ute Indian leader, Tabernash, was killed by a member of the Sheriff’s posse. Years later the town would be rededicated in the brave Indian’s name, ‘Tabernash’. The following year, at the age of 48, William did a most peculiar thing. He imprinted a cattle brand with the letter ‘Z’ on his left hip. One could be forgiven for thinking the ‘Z’ stood for the legendary hero, Zorro, for William’s heroics were unsurpassed in the Wild West. The interesting thing is that William predates the Zorro legend by only 15 years. 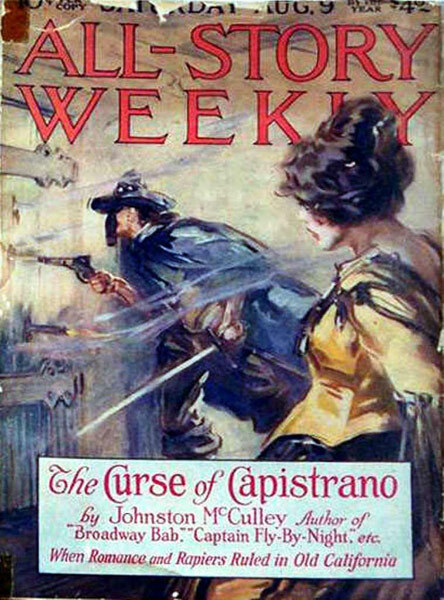 Most attribute the popularisation of the iconic Zorro figure – a renegade, but a man who was both a passionate and compassionate crusader for justice and who delighted in publicly humiliating his foes – to a fictional character created in 1919 by New York-based pulp writer, Johnston McCulley, in his article, The Curse of Capistrano. Hollywood icons, Douglas Fairbanks and Mary Pickford, read McCulley’s story while on their honeymoon and featured it in the 1920 film, The Mark of Zorro, their first picture for their new studio, United Artists. The dashing Fairbanks and his swashbuckling performance, complete with mask and black attire, branded Zorro in a way not originally intended by his creator. The success of the film and McCulley’s article prompted demand for more stories and, starting in 1922, McCulley wrote over 60 additional tales. Interestingly, McCulley was an amateur history buff, who worked as a police reporter in Illinois and wrote about the Wild West, including life in the Rockies. Might he have been aware of the legendary William Cozens? The source of the Zorro legend remains unclear. Some believe it is based on a Portuguese renegade, while others purport an Irish origin. However, the most popular influence appears to be the English Robin Hood. Although no one knows for sure what William’s ‘Z’ represented, the chances are it stood for Zane, his father’s name, the maiden name of one of his great grandmothers and the middle name that he shared with his brothers. Nevertheless, a more passionate and compassionate crusader for justice never existed and one wonders if William was not, in fact, the inspiration for one of the greatest fictional heroes of the twentieth century, Zorro. “He and I discussed certain things, which I shall with ease be able to explain to you in detail – things that will give you, through Monsieur Poussin, advantages which even kings would have great pains to draw from him and which, according to him, it is possible that nobody else will ever be able to rediscover in the centuries to come. And, what is more, these are things so difficult to discover that nothing now on this earth can prove of better fortune nor be their equal”. This quote is intriguing, for the landscape of the painting is believed to exist near Rennes-le-Château and the painting is referred to in the coded parchments discovered by the French priest, Bérenger Saunière, in 1891. Mary’s diary is sensational, albeit mundane, affording the reader a valuable insight into everyday life and underscoring the zealous, if not peculiar, goings-on of the various religious orders and sects that had become such a large part of the Cozens’ daily lives. Mary’s first diary entry states, “Made a book & began” and refers to the “Dear Priests”.On the 27th and 28th it tells of Father Ley and Mr Cazin returning to the ranch, hunting, baptising and leaving early “greatly to our disappointment, as we expected to go to confession tonight”. She mentions that she made some “collars”. 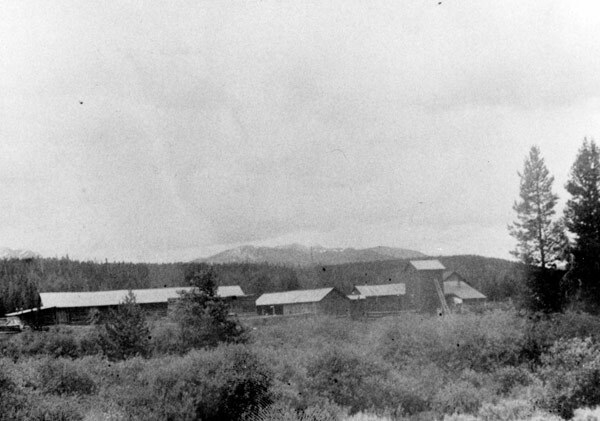 Clearly, the Cozens ranch, now a hotel, was a hive of secular activity. On the 31st of October Mary writes, “Eve of All Saints”. Curiously, she had previously mentioned the entertainment her cats had provided her during the cold winter nights, but now stated, “Killed cat”, without a hint of remorse. As if killing the cat was a distant memory, the following day she records, “Began month of Holy Souls”, or the commemoration of souls in purgatory during the month of November. Clearly, the theme of penitence so central to the French priests and the societies that embraced them had infiltrated the Wild West and the Cozens household in particular. On the 2nd of November, Mary adds, “All souls day! Eternal rest give unto Them, O Lord, and let perpetual light upon them”. In the margin she notes, “NIG cat from Halkowicz,” probably referring to Fred Halkowicz, a rancher who along with his wife Annie were friends of the Cozens family. The significance of the repeated reference to cats remains unclear, but it is not out of the question that the animal was part of a ritual involving penitence and the salvations of souls. All Souls Day is a day of ancestor worship, and the reference to a ‘NIG’ cat appears to indicate that the cat was black – slang for the colour of a black person’s skin. In folklore a black cat would either be considered lucky or unlucky. For instance, in the Middle Ages black cats were killed, due to the belief that they uniquely could shape shift into a witch. Ironically, the culling of black cats led to the spread of the bubonic plague, due to the resulting increase in the rat population. However, in more modern times it is universally accepted to be unlucky to have a black cat cross your. All Souls Day appears to have been the impetus for the Cozens family obtaining a black cat for use in a ritual sacrifice. Their peculiar behaviour prompts one to speculate on what the ‘specimens’ were that Billy received from Brother Murphy, as referenced in a letter to his father on the 22nd of January 1871. Could they have included parts of a cat’s anatomy? 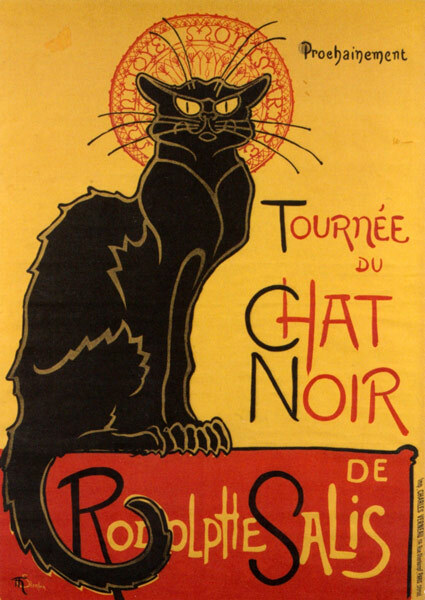 Strangely, it is said that in the South of France, in places like Toulouse, the cat was the embodiment of a child’s constrained and suffering soul, often as a result of sexual abuse. 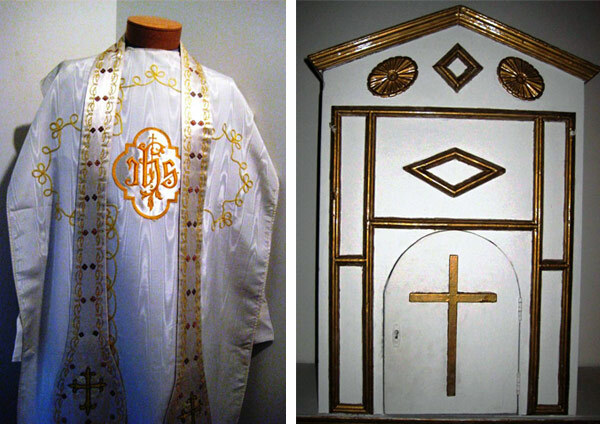 Earlier Templar chests are also said to have contained representations of decapitated cats’ heads and be reminiscent of a cult that practises Orphic rituals of purification and preparation for the afterlife. November 1887, the month of All Souls, was more eventful than most. On the 3rd Mary wrote, “some of the family get up early to see ‘The Star’”. The reference refers to Venus, which would have risen above the Continental Divide to the east of the Cozens ranch at around 4:40 am. Four days later, on the 7th, she adds, “send milk to Sisters”. A week later, a similar entry, “Mr Ennis takes milk to Sisters”. On the 24th she writes, “Bless Our Lady’s country”, a reference to the Bishops having placed the United States under the patronage of the Blessed Virgin in her Immaculate Conception in 1846. Finally, on the 30th Mary adds, “Finish Month of the Holy Souls”. What a month it must have been. In December, on the winter solstice, Mary writes, “40 below zero just before sunrise – fair & bright, but cold all day – shortest day of the year”. A few days later, at Christmas, she adds; “Merry Christmas” and “Cats are bad”; once again, a peculiar reference to cats. The year closes with an entry on 31st stating, “Cold & cloudy – end of a year of trials, perhaps not very great ones in themselves, but seemingly hard enough to bear, as they came one by one. Father Spalding, Mrs Cline, & Mr Rohracher have entered Eternity. Lord give them rest!” In the margin she writes, “Golden Jubilee of Leo XIII”, the 50th anniversary of his accession to the bishopric. 1888 continued with more religious themes on 21st of January: “Feast of Saint Agnes, Sarah’s Patron.” Agnes was also the middle name of her sister Sarah. On the 27th she adds, “leaflets from Tabernacle Society”, the society founded in France in 1848 and brought to the US in 1886. Today there are 22 branches of the Tabernacle Society in the United States, 22 (July) being the feast day of Mary Magdalene, the saint upon whom the society was founded. The remoteness of life in the Wild West did not preclude the awareness of events such as eclipses, for a week later, on the 28th, Mary adds, “The eclipse was a failure here – we could only see the last of it as the moon rose above the mountains after 6pm”. February continued with more of the same. On the 2nd Mary writes, “Candlemas or Feast of Purification”. The reference refers to Luke 2:22-49, which describes the Holy Family’s fulfilment of the prescriptions of the twelfth chapter of Leviticus, dealing with the Virgin Mary submitting herself to the Temple for the ritual purification of the redemption of the first born in obedience with the Law of Moses, which is celebrated 40 days after Christmas. Typically, the feast day would commence with a formal blessing of candles, followed by a procession that led to the mass. On the 29th Mary adds, “Yesterday I put some Holy oil on my finger & today it is very much better”. The observation most likely refers to a Catholic priest, who might bless oil as a sacrament in order to improve a person’s relationship with God. Spring approached and on the 25th of March Mary wrote, “Annunciation Day & Palm Sunday”. The next day she references the rosary of St Dominic and on the 31st she adds, “Holy Saturday… End of St Joseph’s month, St Joseph take care of us”. On the 1st of May, Labour Day, Mary adds, “Month of Mary, Mother of God – begin exercises for it”. The devotions were a standard component of nineteenth century Catholicism and it is likely that the Cozens family would have recited the rosary and said some special prayers. On the 23rd Mary adds “clean dining room & hang our ‘Sacred Hearts’ there”. Many of these Sacred Hearts can be found today, oddly enough, within the hollow walls of the house, as if hidden from view. Summer arrived and on the 1st of June Mary wrote, “Heart of Jesus burning with love for us, inflame our hearts with love for Thee – begin month of the Sacred Heart”. The Feast of the Sacred Heart occurs nineteen days after Pentecost and thus occurred in June, rendering the entire month special. On the 17th she adds, “write to Tabernacle Society” and on the summer solstice, the 21st, “Mother Basil sends mother a pretty Sacred Heart”. On the 29th she records, “Only one more day of our dear month of the Sacred Heart. It has flown all too swiftly, but I hope not without a blessing to us all”. Finally, on the 30th, she writes, “Note from the Tabernacle Society”. The fixation on the Sacred Heart is especially interesting, as the notion of the sacred heart is not a Christian concept per se. There was a belief amongst Franciscans, including those who occupied Colorado at the time, that Christ did not die as a result of being crucified, but because his heart burst, having exploded in a form of penitence. The 1st of July commenced with Mary writing, “Feast of the Precious Blood”, the feast blessed by Pope Pius IX on 10 August 1849, to commence this day each year in remembrance of Christ’s sacrifice for the redemption of mankind; the belief being that there was to be no absolution of sin without the shedding of blood. On the 2nd she adds, “Feast of the visitation & papa’s 58th Birthday”. The feast of the visitation refers to the episode in Luke 1:39-56, when Mary supports Elizabeth, her kinswoman, as the latter gives birth to John the Baptist. Sadly, and somewhat curiously, the diary ends on Sunday the 15th of July, without warning or reason. Poetically, but surely by chance, the 15th of July 1099 was the day of the first Crusade, when Christian soldiers won the Church of the Holy Sepulchre in Jerusalem, as well as the day in 1149 when the reconstructed Church of the Holy Sepulchre was consecrated. 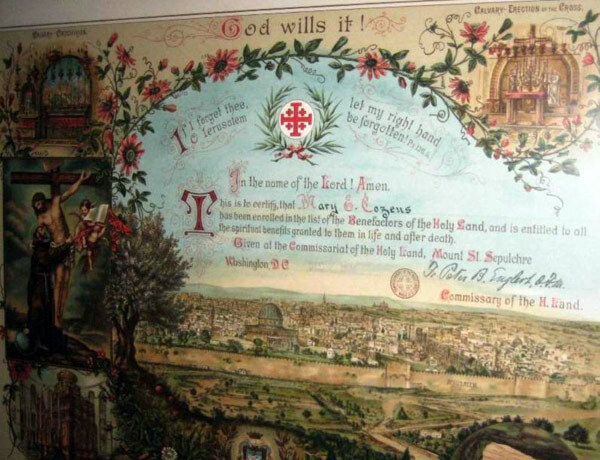 Curiously, the Holy Sepulchre was the church featured on the commemorative painting that the Jesuits would give to Mary Elizabeth only a few years later, in recognition of her dedication to the Jesuits. 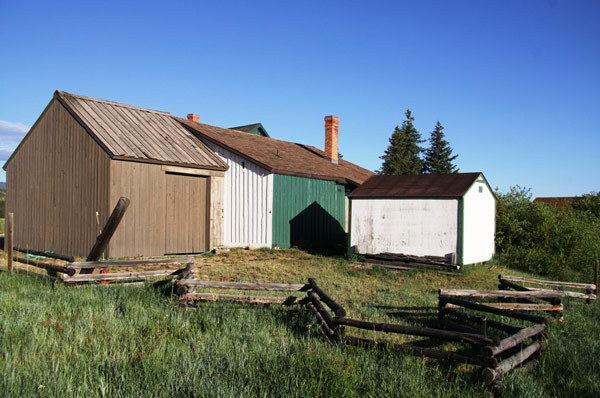 By the late 1880s most of William Cozens’ brothers had joined him in Fraser and the Colorado census reported that William’s 320-acre farm earned $816. Cozens used the proceeds to build a new post office across the street, which also served as a court house. Billy Cozens was now an adult and upon his 21st birthday became Justice of the Peace and assistant postmaster. His duties included recording the weather twice a day and reporting his findings to affiliates in Denver. Around this time the Bishop of Denver invited the Jesuits to create Sacred Heart College. In 1887 the College moved to Regis University in Denver and changed its name to College of the Sacred Heart. Fate would soon unite the University and Cozens’ family in a most peculiar way. In October 1888 William acquired water rights in the valley by running an irrigation ditch from Vasquez Creek. Five years later, in 1893, he purchased another 160 acres of land. Not much else is known until 1901, when the Jesuits came to town. To be precise, their carriage broke down outside the Cozens farm while returning from holiday back to Denver. It was quite common for priests from Denver to spend their summer holiday touring around the rugged mountain trails, camping in a different location each night. William was impressed with their peaceful demeanour and knew that Mary and his daughters would appreciate them even more. He invited the Jesuits in and asked them to say mass for the family. William’s death left a void in the valley, as it was truly the end of an era. The following year, on the 21st of July 1905, the eve of the Feast Day of Mary Magdalene, Mary sold 80 acres of William’s property to the Jesuits. Three years later the Jesuits built a series of buildings, Father Bertram serving as chief architect. 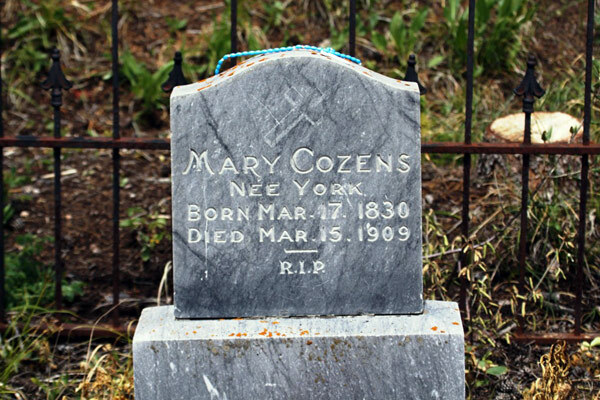 Four years later Mary Cozens died on the 15th of March, two days before her 79th birthday. 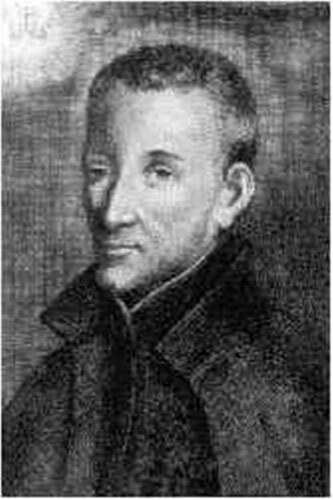 Poetically, Mary died on the anniversary of the birth of Father Alexander de Rhodes, a French Jesuit missionary born in 1591. 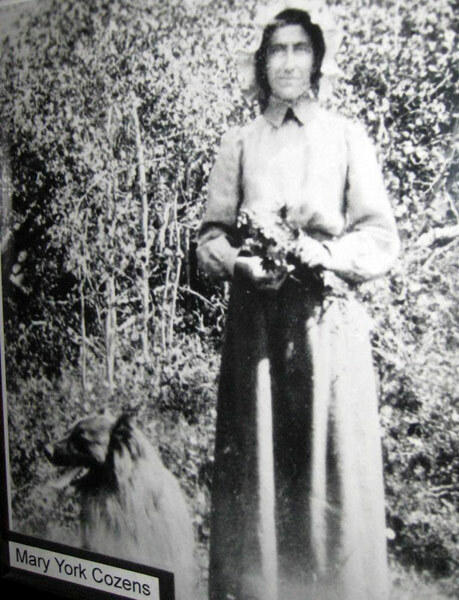 The land around the Cozens ranch was renamed Maryvale in her honour. In 1911 sixty additional acres of the Cozens estate were sold to Doctor Welker and in 1914, as the First World War was about to commence, 100 acres of the Cozens estate were sold to Herman E and Mayme G Sturm. Maryvale continued to be a place of mystery and on Independence Day 1921 lightning killed a man while he was walking back from Tabernash. Two years later, on the Feast of Lammas, Mary’s daughter, Sarah, died. The following year Mary Elizabeth signed over the Cozens ranch to the Jesuits of Regis College in Denver in a letter that became official on the 24th of November. The symbolism of the date would have pleased Mary senior, for the 24th of November is not only the feast day of Colmán, who founded the ancient monastery and church at Cluain Uamha (now Cloyne), Ireland, close to where Mary came from. It is also the feast day of St Chrysogonus and St Firmina. Four years later, on the 7th of December 1928, Mary Elizabeth suffered a stroke, prompting Billy to call the Jesuit College in Denver and inform Father Aloysius A Breen of the situation. Father Joseph Ryan and Doctor Beuchat MD, a Regis alumnus and faculty member, drove to Fraser as fast as they could. It was the dead of winter and Doctor Beuchat nearly froze in one of the upstairs bedrooms during the night. 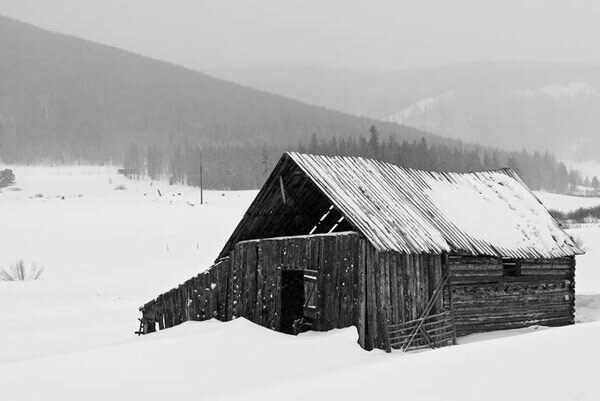 The valley had a reputation as being the coldest in the United States and William often spoke of temperatures of -65°F in Fraser and -72°F in Tabernash. The freezing temperatures earned the valley the title, ‘icebox of the nation’. Only Father Ryan’s mass wine kept Doctor Beuchat from freezing to death. The next day, on the Feast Day of Our Lady and her Patroness, Mary Elizabeth died. Her death certificate reads, “Her death was due to broncho-pneumonia complicated by chronic myocarditis”. In that same year Billy signed over the property he had inherited from his sisters to the Jesuits and took up residence in their care in Denver, at Regis College. The Cozens were adamant that the cemetery behind the ranch was included in any transaction that resulted in the sale of the property. 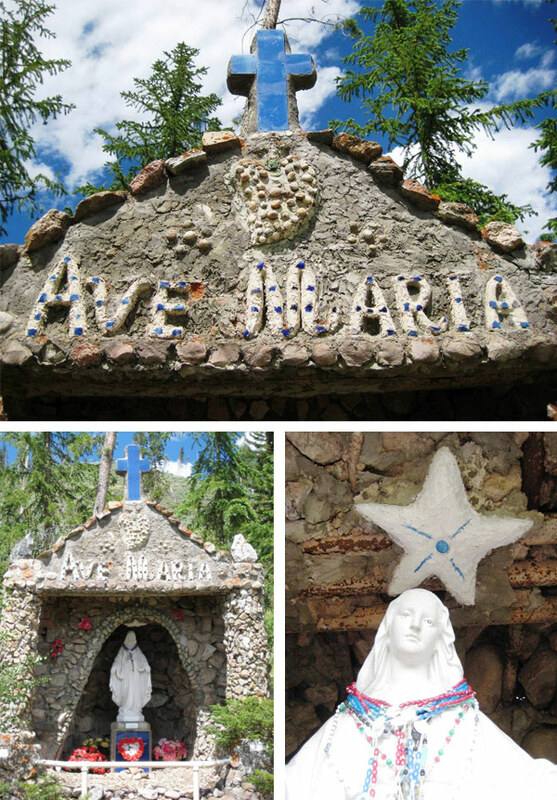 In recognition of the sanctity of the family cemetery, a Jesuit by the name of Brother Ben erected the present shrine to Our Lady in 1933, next to the Cozens Family’s cemetery. Five years later, in 1938, Billy fell ill and was taken to Mercy Hospital in Denver, where he died on the 30th October. Services were held at Regis University and his body was transported to Maryvale, where it was buried with the rest of the family. The following year Father Myers died on the 30th of December; the anniversary of Regis’ death and the anniversary of what would have been William and Mary’s 79th wedding anniversary. 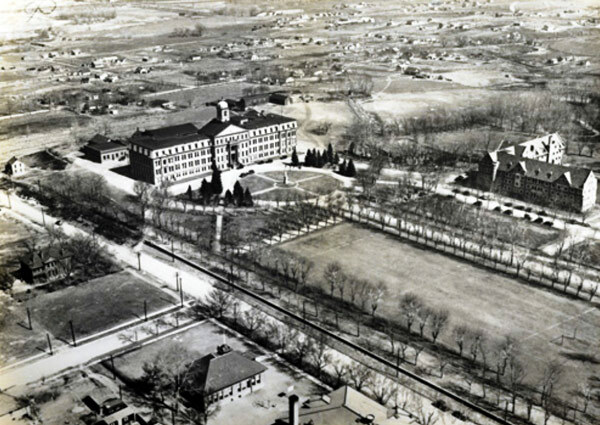 Many years later, during the years 1945-1947, Maryvale became home for German prisoner of war camps, thus satisfying the much needed requirement of labour for lumber production. Years later, in November 1989, the three buildings built by the Jesuits in 1908 were levelled, leaving the post office / home / hotel as sole remaining testament to the Cozens’ peculiar legacy. 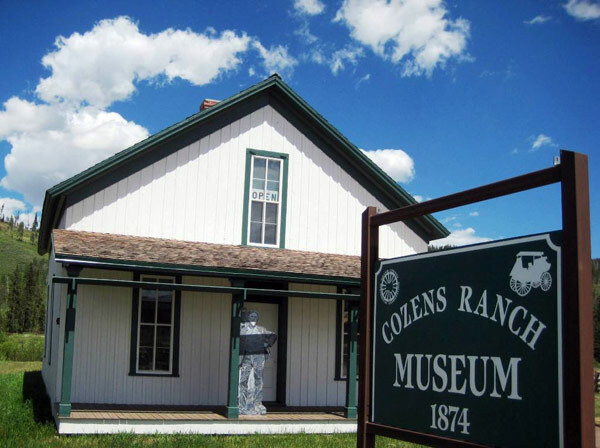 A visit to the Cozens ranch, now a museum, is illuminating in many ways. In addition to providing a glimpse of everyday life during William and Mary’s era, the museum affirms the family’s religious zeal. Take, for instance, the art, which appears grandiose for its day, such as the picture of Mary that hangs in the reception room; this was discovered unframed and rolled within the interior walls of the parlour during restorations in 1976. A crescent moon under the feet of Mary, a device popular at the time, hints at the fact that it is not the Virgin Mary being portrayed, but rather Hecate or Demeter; classic penitent imagery. 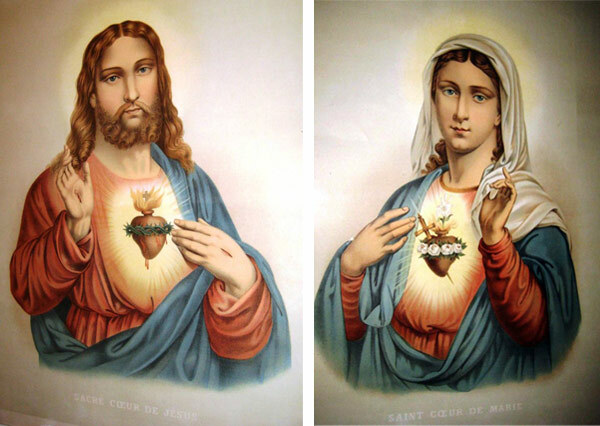 And then there are more conventional, although equally provocative, pictures, such as Jesus and Mary with their sacred hearts bursting and dripping with blood. In France the name of the penitent order that performs rituals to ensure that souls travel to their proper destination is called La Sanch, meaning ‘The Blood’, and the sacred heart is part of its ideology. The certificate is beautiful and includes pictures of several dramatic biblical settings: Jerusalem, the Calvary, Crucifixion, the Holy Sepulchre, the erection of the cross and the Grotto of the Agony. In the top centre of the certificate it reads, “If I forget thee, O Jerusalem, Let my Right Hand Be Forgotten! Ps136.5”. The stamp at the very bottom of the certificate states, “with ecclesiastical approbation”. The certificate remains a curious and fascinating dedication. 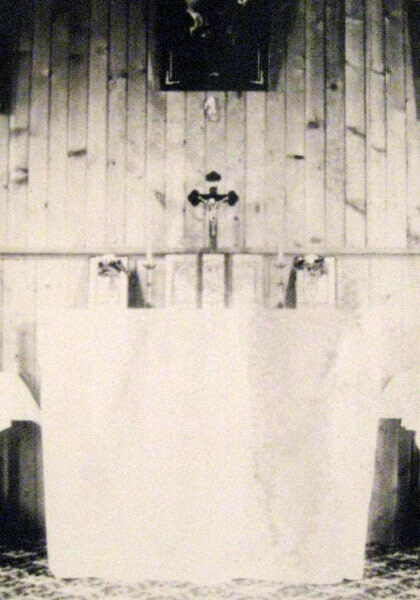 The museum also contains artefacts used by priests when visiting the Cozens ranch, such as the regalia of Father Augustine M Bertram (1864 -1938), a resident Jesuit at Maryvale and the priest in charge when the Fathers’ wagon broke down on the Cozens’ property in 1901. Many of the sacred hearts referred to in Mary Elizabeth’s diary are still visible. 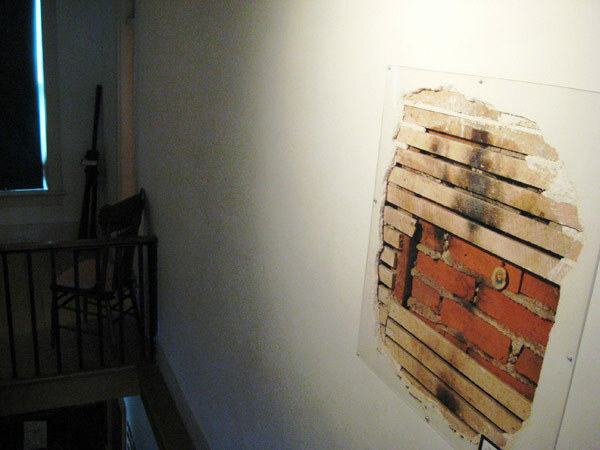 One, in particular, is nailed to one of two brick chimneys in the house and is located at the top of the stairs, part of the chimney extending from the parlour below (reference earlier picture). It is thought that the badge was sealed in this peculiar location during construction of the house, in order to protect the family from chimney fire. It was a common practice for homesteaders to ‘bless’ chimneys, as they often caused frontier homes to burn to the ground. 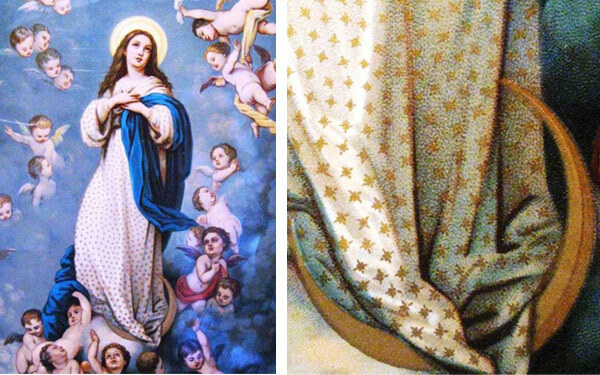 This raises the question: why would pieces of art also be concealed within the walls of the house, such as the painting of Mary with the crescent moon beneath her feet? Perhaps this special painting was also a dedication to the safety of the residents or was intrinsically valuable. The interior of the Cozens Museum is fascinating, as are the surroundings, which reveal even more of the religious fervour of the family and their extended network of priests. Take, for instance, the site of the prayer tower, now gone, where the Cozens held mass. The tower was constructed when the original buildings were built (1875 – 1887) and was taken down in the late 1950s. Closer inspection reveals that the tower sat on a line of sight that started with the Sacred Heart shrine across the river, behind the Cozens ranch, next to the family cemetery. The Cozens had long stipulated that in the event of the sale of their property the family cemetery must be included. Their tombstones depict crucifixes tilted at 45°, a convention whose meaning is uncertain, and which is not observed on other tombstones in the area that date from this era. Curiously, it was not until three decades after the Cozens first met the Jesuits that the shrine of Our Lady and the Sacred Heart was erected and dedicated by ‘Brother Ben’ in 1933. Just what, if anything, existed on this spot prior to the dedication is unknown, although it appears to have been revered for some time and rests at the base of a sacred hill. The statue of Our Lady near the Cozens family cemetery © Andrew Gough. The statue is situated at the base of a hill and is aligned on the location previously occupied by the prayer tower at an offset of 22° west of south. Standing in alignment with the shrine of Our Lady and looking south west towards the mountains, it appears that that the line extends across an apparently man-made beacon of stones and on to the mountain range of Vasquez Peak on the horizon. Paths for the souls of the dead often connect a valley and a hill, as in the book of Tobit, and were used in Orphic rituals. Although the alignment may be entirely coincidental, attention is drawn to the 22° offset, an alignment found in the South of France in the region where the priests who founded the Jesuit order lived. 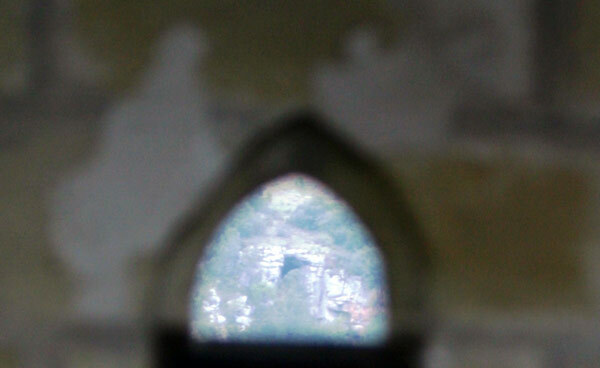 This includes the famous Rennes-le-Château alignment, where a tower dedicated to Mary Magdalene contains a window on the 22nd step that points unambiguously at a grotto, whose place name is the burial site of Mary Magdalene, at an offset of 22° west of south. Once again, the presumed significance of the offset is the fact that the 22nd of July is the feast day of Mary Magdalene. Another interesting observation relating to the Maryvale alignment is that the rocky outcrop in the distance is, in fact, a man-made collection of rough-cut boulders situated in an otherwise barren landscape. One possibility for its placement is to highlight the boundary marker of Maryvale, which appears to have extended to about this distance. The Jesuits were passionate about the origins of places, owing to their interest in the beliefs of previous inhabitants. 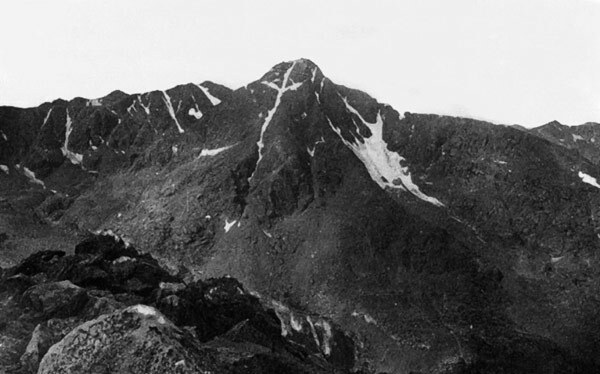 Completing the alignment is Vasquez Peak, which at 13,000 feet is the highest mountain ridge in the area. Pierre Louis Vasquez (1798-1868), born in St Louis of French parents, who became an important fur trapper and trader and established several important trading routes in the area. The Wild West was a remarkable era and William and Mary were extraordinary figures, heroes both. Who would have thought that such devout and seemingly obscure French religious orders and societies would have existed in the world of cowboys and Indians? Details on Mary are few, but her presence is felt in both the behaviour of William and in her children, whose devotion to God was resolute. William, on the other hand, was the face of the family and details of his life are plentiful. He was an honourable man, who, despite not being religious was tolerant and supportive of Mary’s convictions and those of his children. Nevertheless, as a Freemason William would have believed in God. He was a super hero of his day and may even have been the historical Zorro. He was a legend. So was Mary. Together, their journey, and that of the religious Orders they held dear, remind us how important conviction in one’s principles can be during times of chaos and rapid change. Lessons to live by, of that we can be sure. 1/. Ute legend states that the creator god, Sinawaf, placed many sticks in a large sack, each representing a different race of people, each of whom spoke a different language. A curious coyote inspected the sack and playfully scattered many of the sticks around. When Sinawaf discovered what the coyote had done he was devastated, for he had planned to distribute the people evenly across the land and now they were destined to fight amongst themselves for the best land. Sinawaf named the remaining sticks in the sack “Ute”, meaning “the people”, and deemed them an exceedingly brave and strong tribe. The Ute proceeded to create the region’s valleys with a magical ball that crushed mountains and levelled a trail to the afterlife. The Bishop presiding over the apparitions of Bernadette at Lourdes announced that the sightings were of divine origin on 17 January 1862. I would like to thank Darcy Allison Miller, manager of the Cozens Museum in Winter Park, Colorado, for her invaluable assistance. Her enthusiasm is contagious and her knowledge of the subject is endless. Thank you for your help and for putting up with my never-ending parade of questions and unsettling theories. I am very happy to call you my friend.